The latest article in the Upstate NY Stargazing series, “June stargazing in Upstate NY: What to look for in the night skies this month,” has just been posted to newyorkupstate.com and syracuse.com. * With only three articles to go before the great total solar eclipse on August 21st of this year, we go into a little more about the geometry that gives us such fantastic eclipses right now, and how some big science (namely, the Apollo Missions) have given us evidence that such eclipses will not be around forever. Caption:Different as night and day, except for their apparent size. 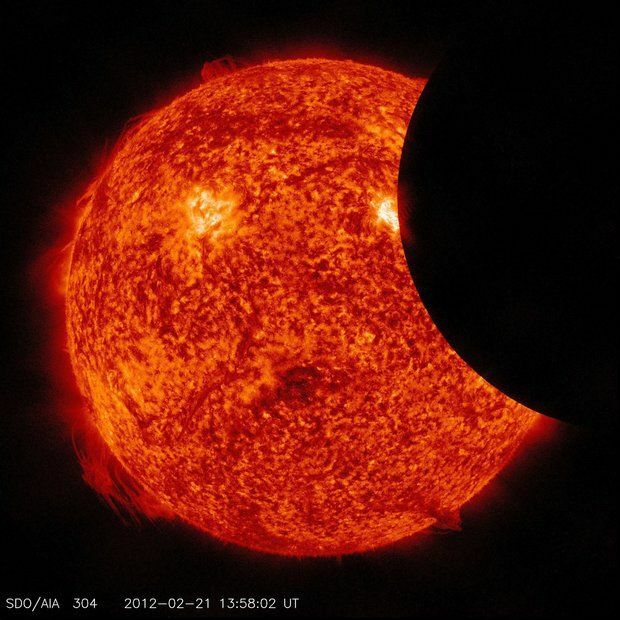 The partial solar eclipse on 21 February 2012 from the Solar Dynamics Observatory. (NASA/SDO/AIA). 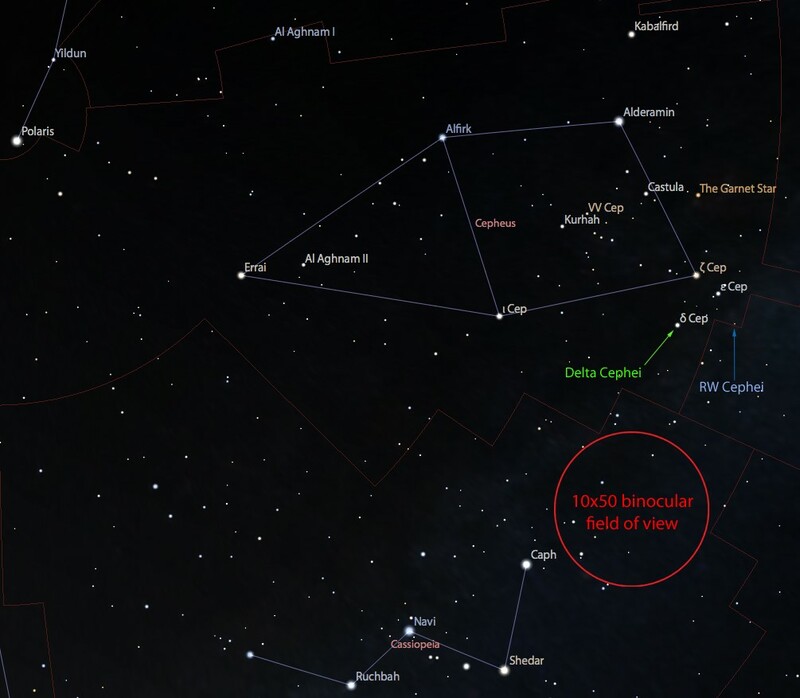 * We continue our look north with Cepheus, the fourth of six constellations that are always visible in the nighttime sky from our latitude (readers then can guess where the next two articles are headed). * The June Bootids do occur this month, but are usually a poor showing. We push forward into the summer months with a wealth of Messier observing (and attempt to do so with fresh content and not the rehashing of too much from last year’s articles). Caption: Cepheus, a broken barn hovering over the throne of Cassiopeia this month. (Image made with Stellarium).